Today, at MWC in Barcelona, Nokia officially took the wraps off the new 8110, a rehash of the device that was made immortal by the Matrix film franchise. The new version of the legendary slider phone will come with 4G connectivity and a selected group of apps such as Google’s Assistant, Maps, Search, Facebook, Twitter and for old times’ sake Snake. It also comes with a battery life befitting of feature phones: 17 days, with nine days of talk time. The 8110 comes in banana yellow and black. The phone will be curved like a banana for..reasons. Nokia was known back in the day for their impeccable feature phones, and HMD Global is looking to cash in on that nostalgia. The 8110 joins the ranks of the 3310, another big hit for the company. The new version of the 3310 sold like hot cakes. The company managed to sell a whopping 70 million devices worldwide in 2017 (both feature and smartphones combined). For all practical purposes, feature phones are dead and serve no purpose, but it looks like HMD found a way to make them work. 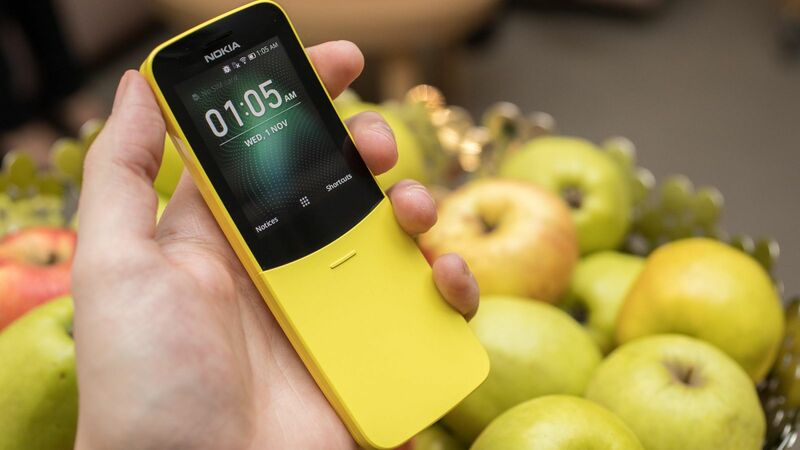 Related HMD Global Could Be Launching the Nokia 8110 With 4G Capability in the U.S.
Juho Sarvikas, CPO of HMD Global, described the 8110 as a vacation phone. It’s for occasions when you need to get off the grid but not completely. The phone has found mild success in Silicon Valley, where people who make a livelihood out of getting people addicted to tech, are concerned about the effects of too much tech in life. Would you buy the new Nokia 8110 as your backup phone? Let us know in the comments below.